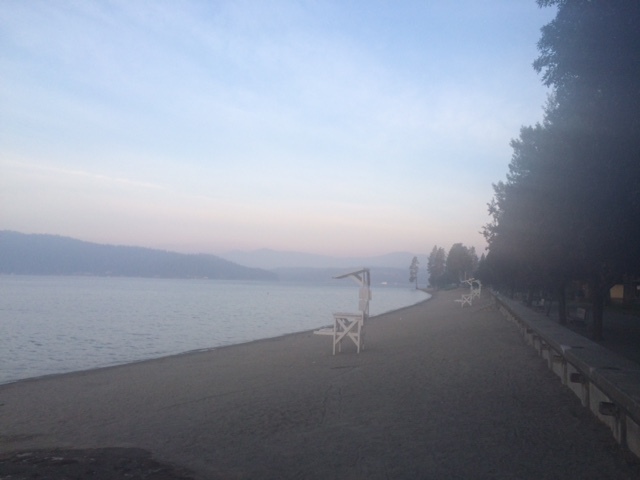 My nephew Joey has an early job, so I was on the road shortly after six, revisited Coeur d’Alene’s lakefront in the early morning light, and was on the Centennial Bike Trail before the morning commute. 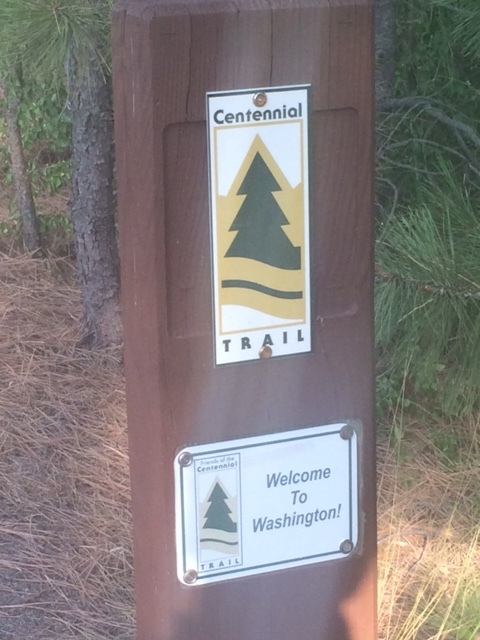 Centennial is one of the best trails I’ve been on: great pavement, generous width, and terrific views along the Spokane River. 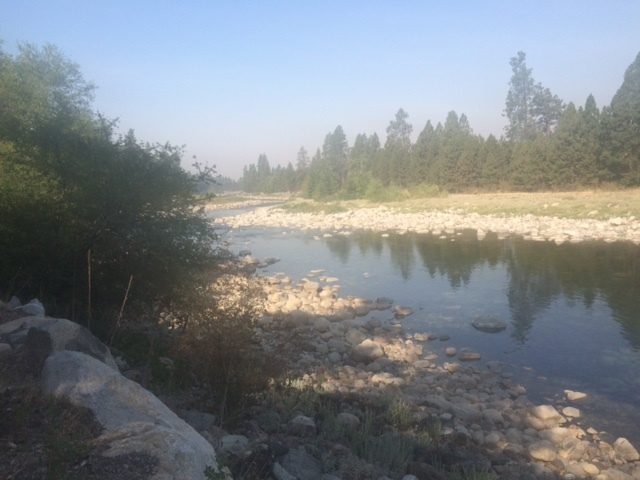 The river’s water level changed dramatically along the route. A series of markers explained how the Prairie Aquifer feeds the river and vice versa, as the relative height of the aquifer and the river change along the route. 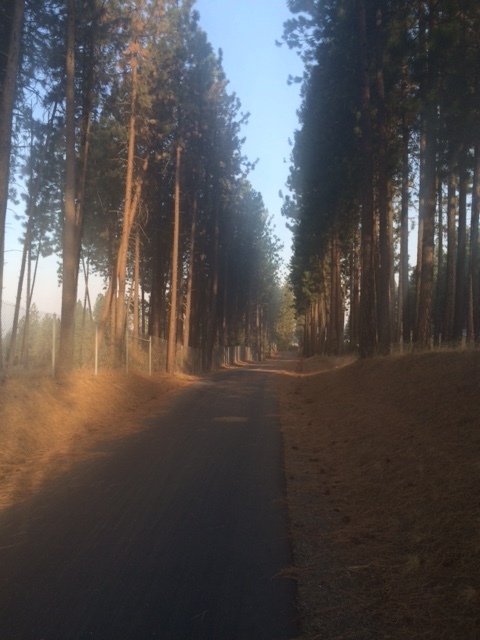 By eight the sky turned hazy and smoke from the region’s fires masked the sun. 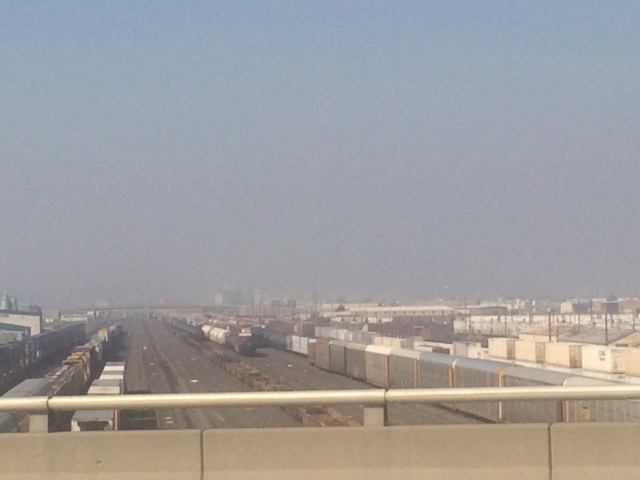 By the time I arrived in Spokane, this railroad hub was shrouded in pollution. 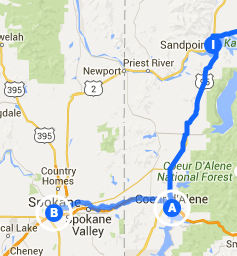 I meandered through Spokane’s industrial east side to visit Self Storage of Spokane. I’ve seen so many storage facilities across the country I wanted to investigate how they figure into tomorrow. The manager gave me a terrific interview and different perspectives on who rents storage facilities and why. East Spokane includes miles of pawnshops and used car lots on streets not well suited to bicycles. Eventually I made my way to the University district (Gonzaga, the perennial NCAA basketball contender is in Spokane) and landed downtown, where I found a cool Mexican restaurant for a satisfying lunch. 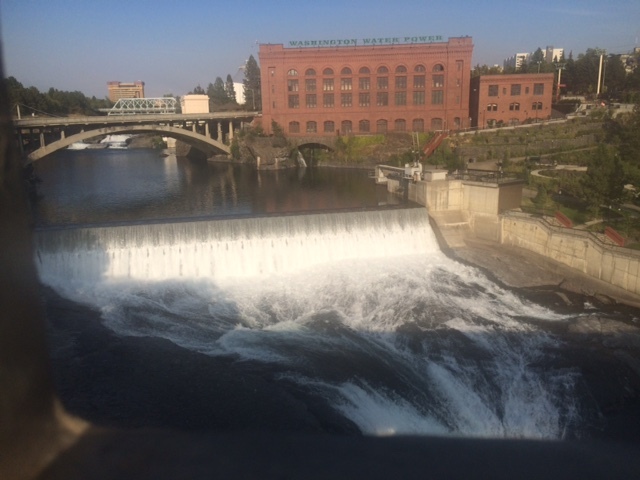 Downtown Spokane is all about fun – it’s easy to see why the city hosted a World Expo back in 1974. 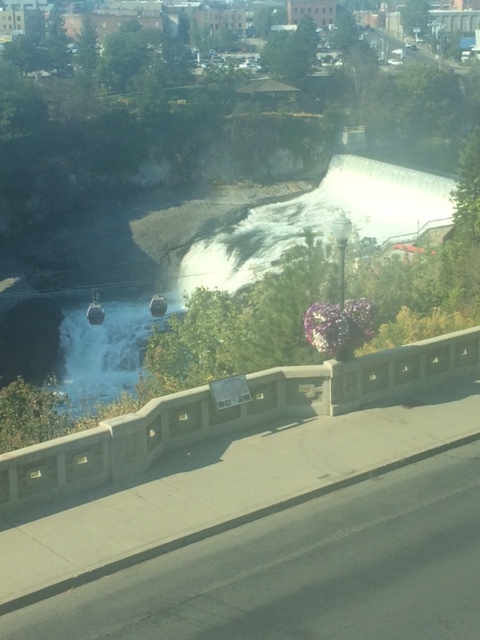 There’s a carousel along the rive, an amusement park on the island that held the Expo, and cable cars that traverse across the spectacular Spokane Falls and under the impressive Monroe Street bridge. 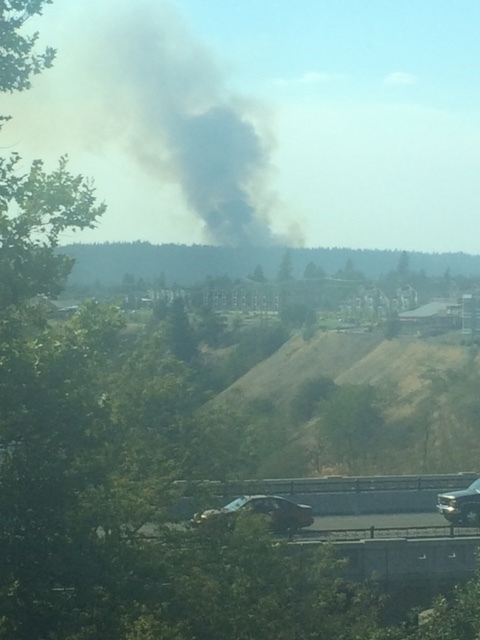 I took a writing break at the Spokane Library, where I had a study carrel with a view o the falls as well as the not-too-distant fires. I am so impressed by the libraries in this country. Cites have invested so much in them over the past twenty years and in town after town I enjoy seeing how well used. My warmshowers hosts, Ryan and Sabine, live a few miles out of downtown in a quaint 1920’s bungalow. They set a high standard for friendliness and amenities, including fresh garden salad with our al fresca pasta dinner. Such thoughtful people make me feel good about tomorrow. My family used to vacation near here from Alberta when I was a kid.. Glad you’re doing well.